According to Variety.com, “Scandal” and “Grey’s Anatomy” creator Shonda Rhimes has set a long-term extension of her overall deal with ABC Studios through May 2018. Rhimes’ deal extension has been a long time in the works, given the amount of business she has in play at ABC and her status as an uber-showrunner. “Grey’s Anatomy”, Rhimes’ initial breakout hit, remains a Thursday workhorse for the network as it heads into its 11th season. “Grey’s” spinoff “Private Practice”, although not as highly-rated, lasted seven seasons in the ABC lineup. “Scandal” blossomed into a bona fide hit for ABC this past season, and will kick off its fourth season this fall. Next up for ABC under the Shondaland banner is the Viola Davis-starrer “How to Get Away with Murder.” The series was was created by “Grey’s Anatomy” vet Peter Nowalk and is executive produced by Rhimes and her longtime producing partner Betsy Beers. The Kennedy Center For The Performing Arts is about to get a taste of some Olivia Pope – kind of. 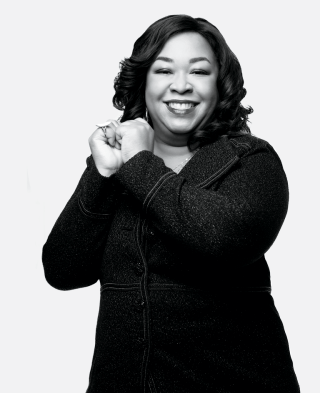 On the day of the Season 10 debut of Grey’s Anatomy, President Barack Obama today used some of his patronage power and appointed Shonda Rhimes, the creator/EP of the medical drama and Scandal, to the Center’s Board of Trustees. Obama also appointed the Carlyle Group’s CEO David Rubenstein Empire Global Ventures’ CEO Alexandra Stanton, Chicago art gallery owner Amalia Pera Mahoney, FI Investment Group CEO Frank Islam and Entravision Communications’ CEO Walter Ulloa to the Board Thursday as well. “I am grateful that these impressive individuals have chosen to dedicate their talents to serving the American people at this important time for our country. I look forward to working with them in the months and years ahead,” said Obama in a statement when making the announcements. Rhimes was a big supporter of Obama’s campaigns for President as both a donor and even worked in a phone bank with Private Practice actress Kate Walsh for the candidate. Season 10 of Grey’s Anatomy premieres tonight on ABC with Season 3 of the D.C. political drama Scandal set to launch on October 3rd.